Surprisingly dry rot only occurs in damp wood; generally in timber having greater than 20% moisture content. The most important part of any dry rot treatment is to remove the source of the excess moisture. 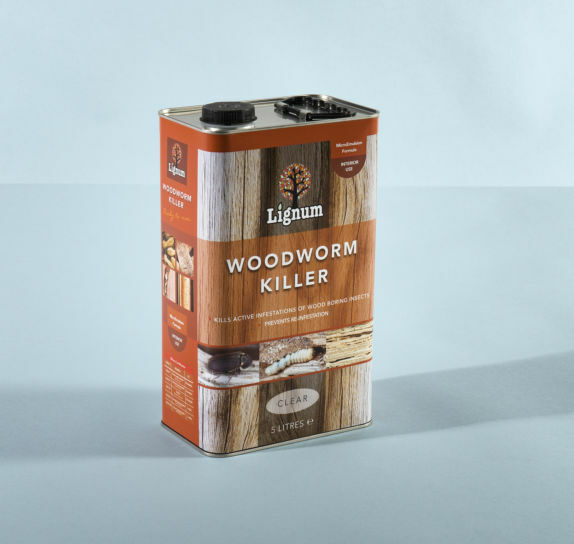 Once this has been done affected timbers can be cut out and adjacent woodwork can be treated using this dual purpose wood preservative containing both fungicide and insecticide in a pre-mixed micro-emulsion concentrate. 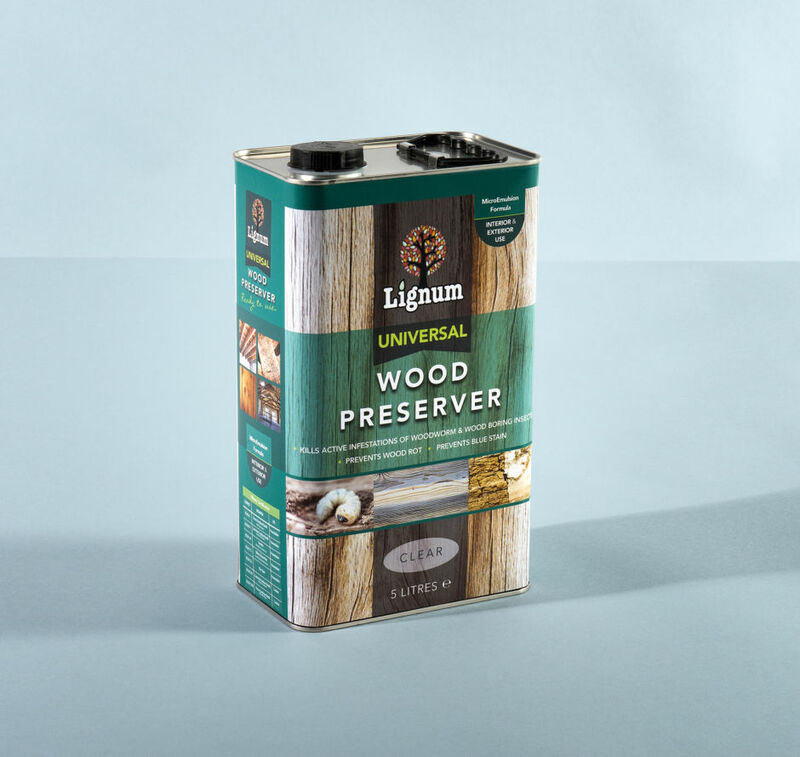 Lignum Pro D156 is a multi-purpose wood preservative with fungicide and insecticide components. It is formulated with micro-emulsion technology and has an extremely small particle size, which is in the nanometre range. This allows the active ingredients to penetrate deep into timber in order to deliver protection against a wide range of wood rotting fungi including both wet rot and dry rot and to deliver effective treatment of wood boring insect infestation. Open up for access as much timber surface as is practical; e.g. lift some floorboards to gain access to both upper and lower surfaces of timber floors and to the supporting joists. For wet & dry rot protection and preventing blue staining fungi mix 2 litres of Lignum Pro D156 with 23 litres od clean water. Apply diluted fluid, to all accessible wood surfaces using low-pressure spray or brush, at the applicable coverage rates. Apply diluted fluid at the rate of 200ml/m2, using 1L of diluted fluid to protect a surface area of 5.0m2 (25L of diluted fluid to protect a surface area of 125m2). Apply diluted fluid at the rate of 300ml/m2, using 1L of diluted fluid to protect a surface area of 3.3m2 of infested timber (25L of diluted fluid to protect a surface area of 82.5m2). Rinse out spray equipment and save washings for use as diluents for the next use. This high-strength multi-purpose wood preservative is sold for professional use only and should be used only for the eradication of woodworm infestation and protection against wood rot fungi such as wet rot and dry rot.